Whatever your design project, Lamar Design works with you on the form, the function, and the finishes. We have the team to handle the entire design process in a seamless and simplified manner – Thomas R. Lamar, Master of Architecture; Steve Garrison, Bachelor of Arts, National Kitchen and Bath Association (NKBA) Kitchen Designer; and Julie Raffa Lamar, Bachelor of Science, Space Planning. Our ability to deliver complete design services provides you with an efficient and cost effective experience. Located in Winter Park and Orlando, Lamar Design has worked on over a hundred projects in the Central Florida area. A bathroom remodel or new home design… from New Smyrna Beach to North Carolina … we do it all. Give us a call at 407-645-5262 to speak to us about your project. We offer a full range of personal services, custom tailored to meet your needs and desires. We are a family-owned and operated renovation design firm based in Winter Park, and service all of Orange County, Florida. 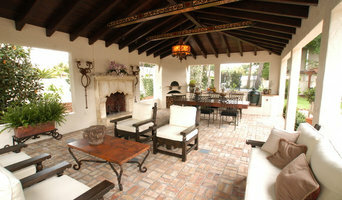 Our mission is to revive and renew living spaces for improved function and style. We develop high-impact solutions for every budget. Our process helps clients envision the possibilities of achieving both practical solutions and stunning design. We accomplish this by utilizing our experience, taking a problem-solving approach and employing thoughtful design considerations. Motivo Home is a residential interior & exterior design & build company striving to create balanced living spaces that represent the personalities and lifestyles of its' clientele. With a unique outlook on the design business, each project is approached with an unparalleled eye for detail, honesty, integrity and dedication. Andrea, Designer, & Rik, Builder, are the owners of Motivo Home, Outdoor & Build. With over 12 years of experience in home construction & design, their expertise is in creating luxury spaces, that are elegant, contemporary and practical. After traveling to many countries worldwide, living in Rome and London, Andrea & Rik's experiences have undoubtedly influenced their eye for design and overall unique style. By establishing long-term and reliable partnerships with various high-quality vendors, they have been entrusted with their clients’ entire design & build process from architectural conception to every detail of the final execution. Their services range from new construction, interior & exterior renovations, finishes and furnishings, pool remodels, summer kitchens, ,turn-key design, feature and architectural details. Orlando's #1 source for TurnKey Furniture Packages and Vacant Home Staging. Certified Home Stager and Interior Decorator supporting Vacation Home Owners, Realtors, Real Estate Investors, Builders and Homeowners. Orlando's Visionary Interior Designer - Best of Houzz 2018! Its many repeat clients, word-of-mouth referrals, and joint projects with leading luxury home builders and architects are a testament to the very professional and beautifully detailed interior design services of M2 Interior Design, LLC. The firm combines creative and technical aspects of interior design and interior architectural detailing for both residential and commercial clients. Totally customized design packages for homes, sensitivity to clients’s budget concerns and versatility to work in all design styles are hallmarks of the company. Misty McPherson, ASID, NCIDQ, president of M2 Interior Design, has impeccable credentials, including a bachelor’s degree in interior architecture from Kansas State University, and she is an expert in state-of-the-art AutoCAD design software. McPherson, a registered and licensed interior designer, has over 12 years of experience and is knowledgeable about space planning, construction documents and processes, and all aspects of design for high-end private residences, model homes and showhomes. Her personalized attention to each client and each project, regardless of size, along with her professional and flexible design talent, have made McPherson one of the most sought after interior designers in Central Florida. Seminole Construction and Design, Inc.
Overview Seminole Construction & Design specializes in Custom Renovations, Additions, and New home construction. Based in Seminole County Florida we're a team of people dedicated to enhancing your home by providing the highest level of customer service, attention to detail, and craftsmanship. We also provide design services for your project. Our history In 1975 Ronald J. Lerch received his State License and established, Ronald J. Lerch Contracting as a Sole Proprietor. He serviced the greater Orlando area providing renovations and additions for both residential and commercial customers. In 1995 Ronald and his son Christopher M. Lerch founded Seminole Construction and Design Inc. In 2008 Ronald retired and Christopher is now the President and State License holder. 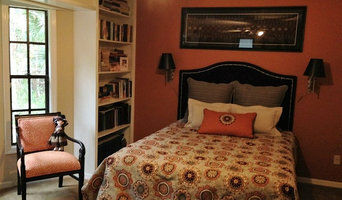 Design Solutions is a boutique design firm specializing in residential interiors in the Orlando area. Kelly Whitaker and her talented team create unique spaces, reflecting the client's personality and the way they "live" in their home. Let Design Solutions' attention to detail and personal service create a look that is uniquely yours for your everyday life. 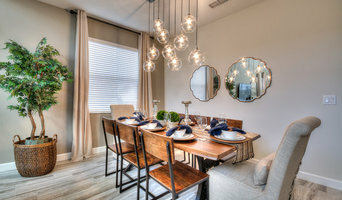 Located in Orlando, our firm provides custom window treatments, bedding and upholstery, paint and color consultations, furniture, unique accessories, distinctive lighting, staging and redesign with client's existing furnishings. We have been helping clients transform homes into beautiful living spaces for over 9 years. As a Designer, my goal is to provide clients with a design plan that - first, fulfills their needs functionally, and second, makes their home welcoming. Everyone should want to go home. Our home should be our haven and our quiet. My goal is to give that to a client. A low maintenance residence where a client can kick back and watch a game, or host a beautiful dinner party. I believe in "luxury in space." I also believe in providing clients with pieces that are multi-functional. The days of the roped-off Living Room are over. Let's make the most of every room in your home. Come see me!